If you’ve ever suffered the afternoon munchies (like me!) 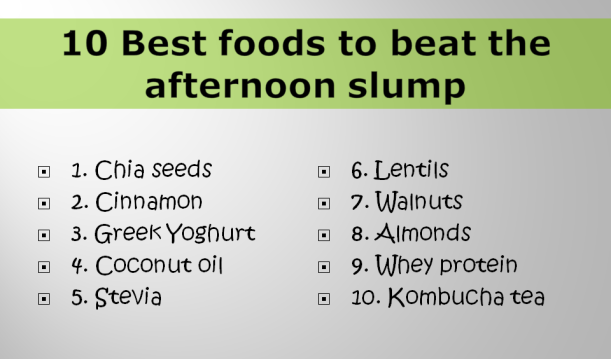 or the brain-deadness that many of us feel around 3pm in the afternoon try these foods to see if you have some improvement in your symptoms. Factor them in as your afternoon snack but don’t have them in addition to a biscuit. 1. Chia seeds – high in Omega 3 oils as well as being a concentrated source of minerals Chia seeds can be made into balls with coconut oil and cocoa for a sweet tooth hit or soaked in water as a drink. I hate the term ‘me time’!